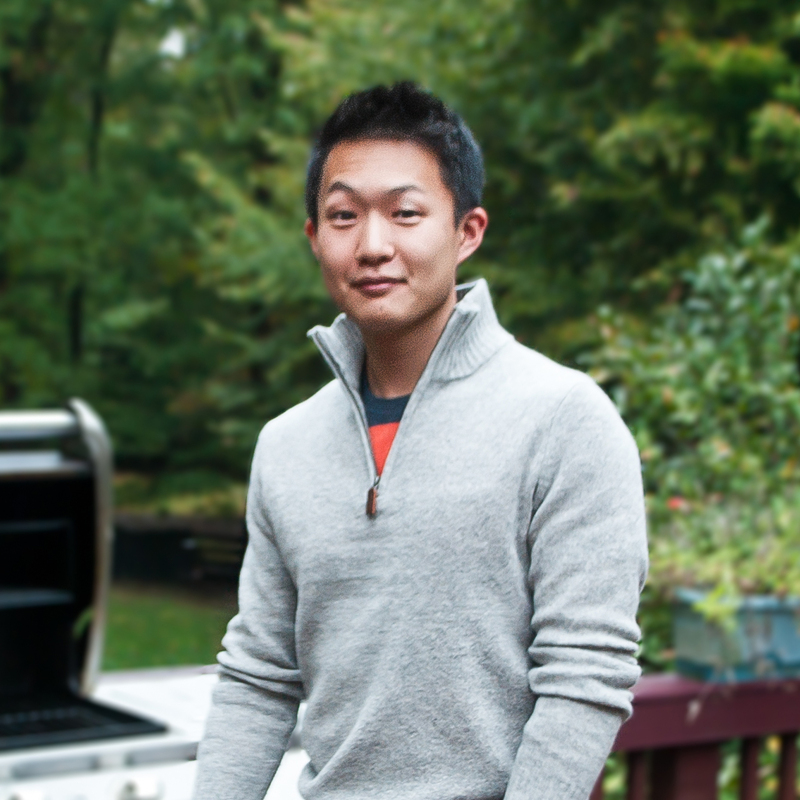 I’m Korean, so I tend not to eat out at Korean places often—or Asian places in general. However, after a friend told me that her number one restaurant is a vegetarian Korean restaurant in New York, I had to check it out. 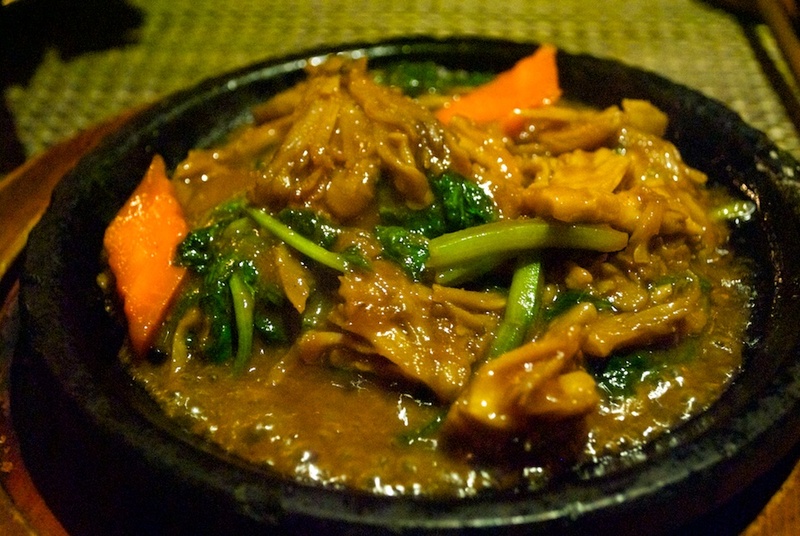 As it turns out, Hangawi was voted best vegetarian and Korean restaurant by Zagat (two separate distinctions). Going into the restaurant is like taking a trip to Korea and escaping the bustling city that surrounds it. The prixe fixe is broken down into two starters, two appetizers, one entree, and one dessert. 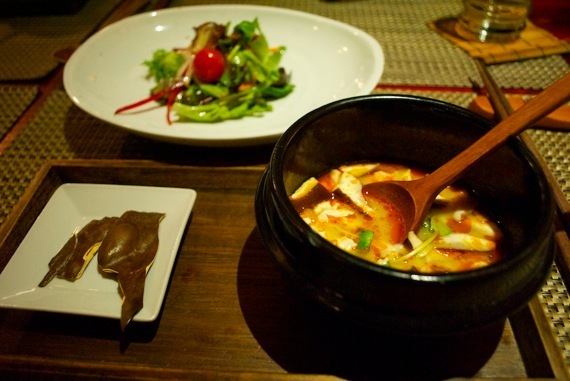 The first starter to arrive was the spicy tofu soup, soon doo boo. With pieces of shiitake mushroom and soft tofu floating around in a base that achieved a delicate balance between salt and red pepper, the soup epitomized the kind of food you would want to eat on a cold winter night. Next to the bowl of soup were a few pieces of fried seaweed. The fried seaweed was nearly as thick as a pita chip and had a distinctly oceanic flavor. They were a nice finish to the otherwise mild soup. 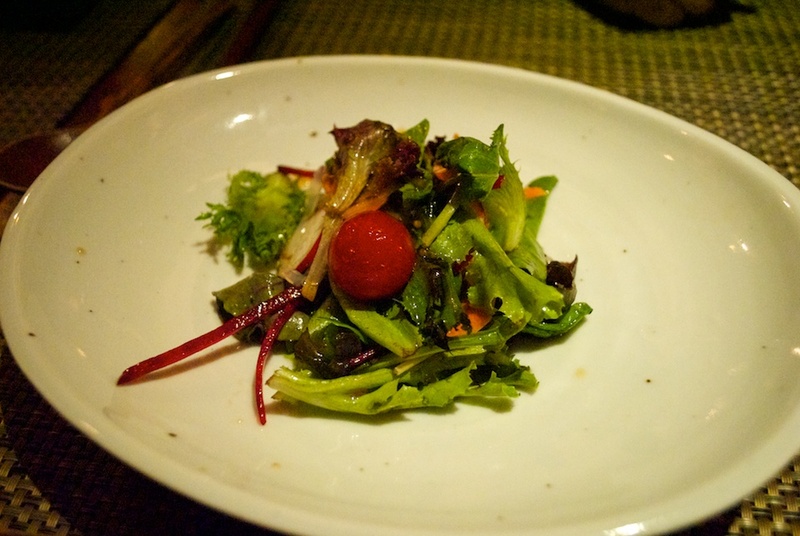 The second starter was a salad served in a wonderfully sweet vinaigrette. Although the salad leaves were not as fresh and crisp as I would have liked them to be, the dressing more than made up for the somewhat dampened leaves. 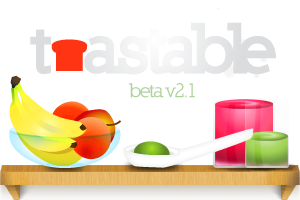 There were thin strands of clear, noodles mixed into the salad which added a welcome, second layer of texture to the dish. Julienned strips of blood-red beet also decorated the plate, adding further layers of texture to the salad. By now, I noticed that a large theme with Hangawi was that the food was often times loaded with a variety of different vegetables and leaned towards the soft side in terms of feel. For appetizers, a large plate of tofu steam rolls and a smaller plate consisting of three mini appetizers were loftily guided to the table by one of the friendly waiters. 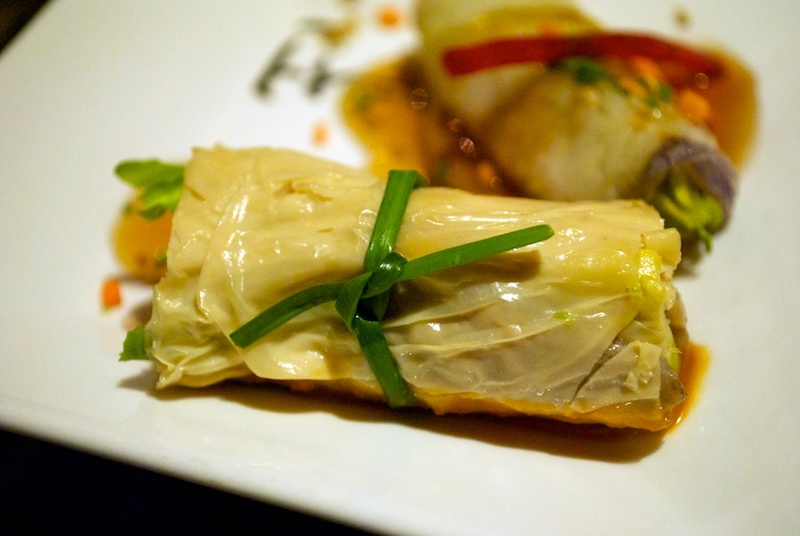 The tofu steam rolls were plated on large sesame leaves which were very aromatic and minty. Underneath the leaves was a bed of ice which cooled the tofu steam rolls, allowing them to release an icy sensation in my mouth. Inside the steam rolls were avocado and cucumber, both of which were easy to chew. In a matter of seconds, the delicately prepared steam roll becomes a tasty, icy conglomerate. Also served with the steam rolls was a sweet and sour dipping sauce reminiscent of the traditional carrot-ginger dressing used in many Asian-style salads. 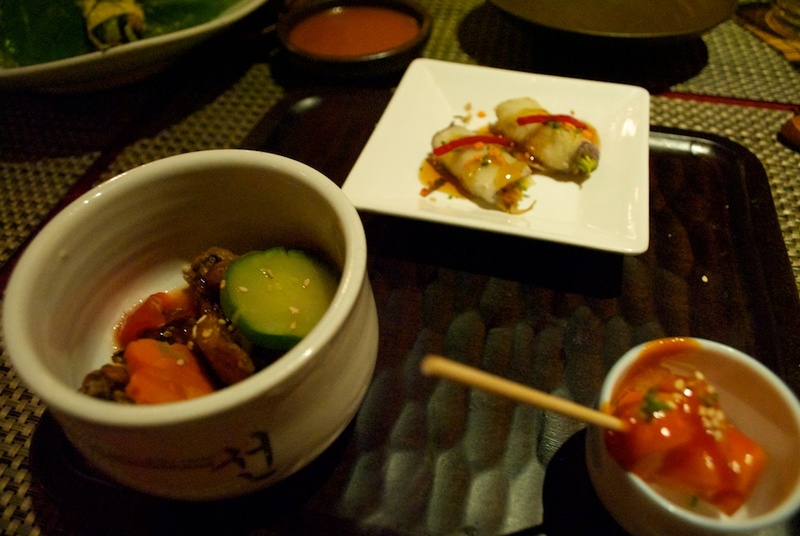 The mini appetizer plate included a toothpick with rice cakes dipped in a spicy sauce, a small bowl of crispy, fried mushrooms, and grilled eggplant rolls stuffed with cucumbers. The rice cakes were like chewy pillows, and their sauce had a hint of sweetness but was mainly spicy. The fried mushrooms were not greasy at all. Rather, they had a crisp barrier of batter and a warm, slimy interior. The mushrooms were sitting on some sort of a pool of honey. 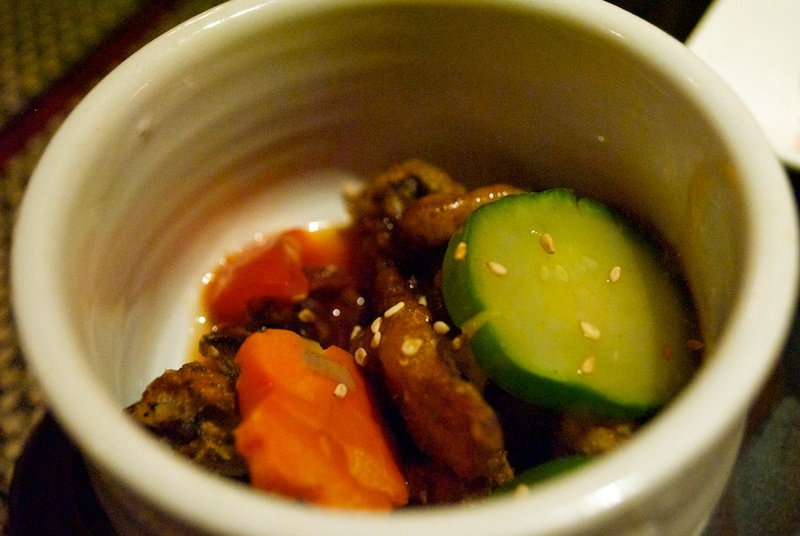 There were also sliced pieces of carrots and cucumbers in the pile of fried mushrooms. 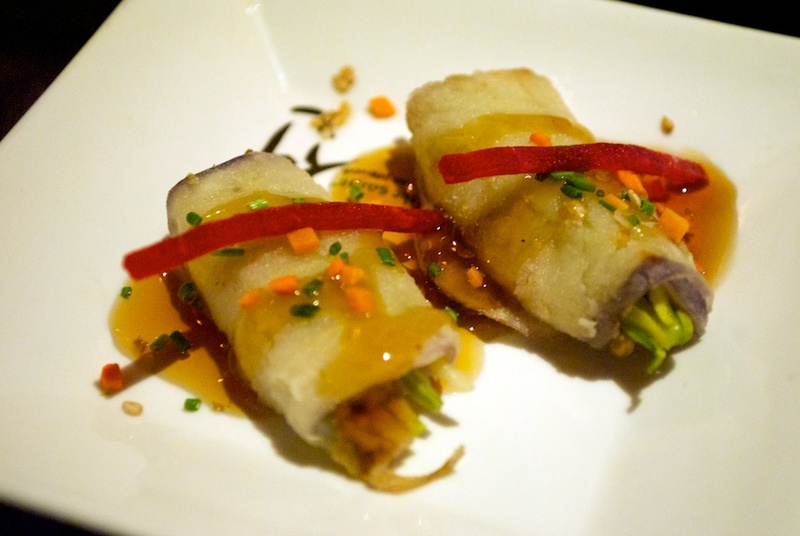 The grilled eggplant wrap was very similar to the tofu steam rolls, but the eggplant wrap had a starchier texture when chewed. My table, consisting of my mom, my sister, and my grandma, ordered two prix fixe meals. Up until now, everything mentioned are included in all prix fixe meals, the starters and appetizers are pre-determined by the chef, but the entrées are determined by the guests. There were two entrées offered. The first of which was a spicy, kimchi mixed rice bowl, kimchi bibimbap. 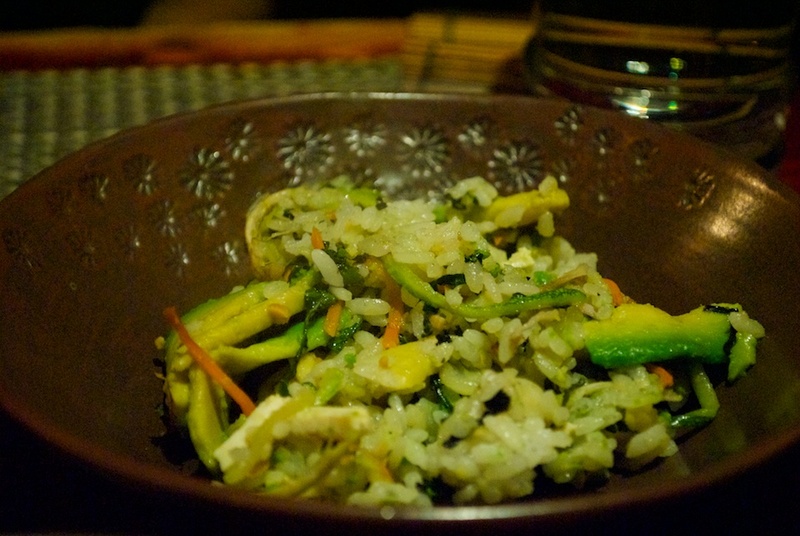 The kimchi bibimbap at Hangawi is white rice with a variety of seasoned and plain vegetables. This traditional combination of foods results in a trove of different textures including soft, hard, and crunchy. There were so many vegetables that I lost track, but, to name a few, julienned carrots and cucumbers were some of the vegetables thrown in the mix. A small sauce plate on the side contained red pepper paste so that my sister, who at the majority of this dish, could choose how spicy the bibimbap was. The other prix fixe entree was a mushroom-heavy dish that included spinach and carrots. The trio of vegetables were drowned in a slightly thick brown sauce that tasted very similar to the traditional Korean beef marinade used for bulgogi. The sauce was salty, most likely due to a soy sauce base, but also sweet. The mix of mushrooms and spinach made the entree a soft dish that could pair well with any type of grain or even bread. 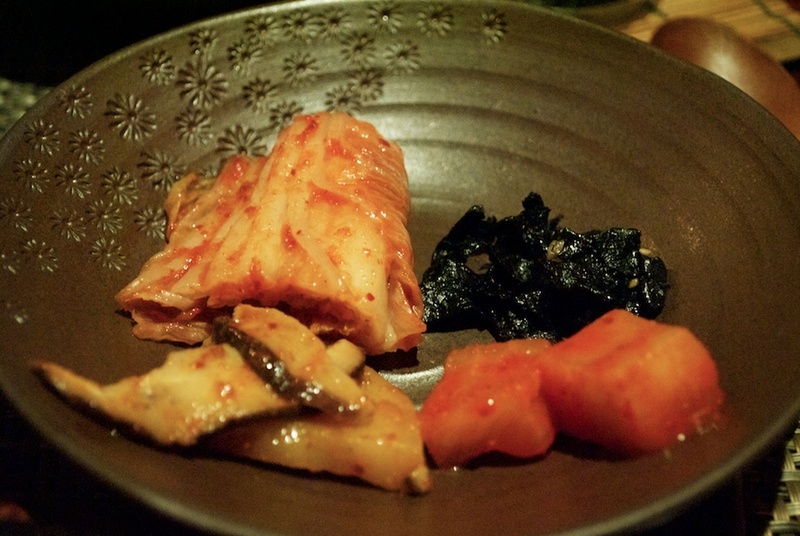 Speaking of grains, the mushroom dish is served with Korean five-grain rice, ogokbap. 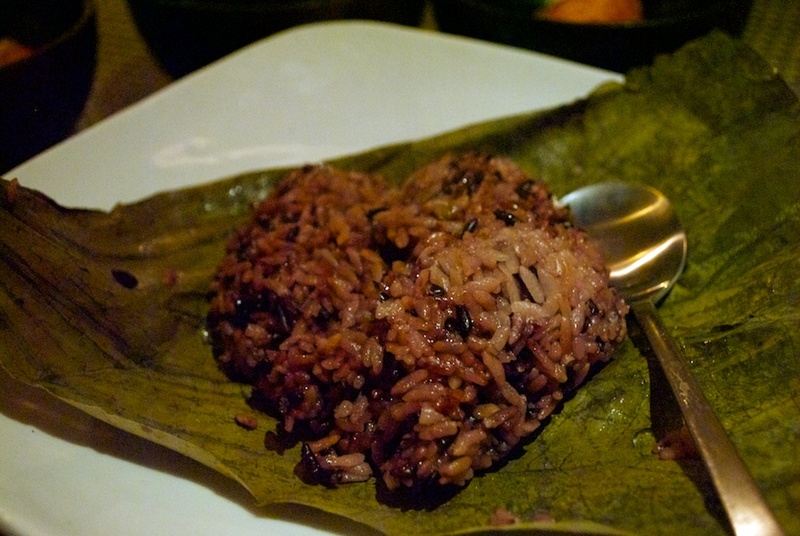 The five-grain rice incorporates a variety of whole grains and even soybeans. My grandma also ordered an avocado bibimbap apart from the two prix fixes (I must remind everyone that the dishes served through the prix fixe were shared throughout the table. No I do not eat the entirety of the food I write about. Oftentimes, I simply sample the food.) The avocado bibimbap was similar to my sister’s kimchi bibimbap, the main difference being the presence of avocado instead of kimchi. As is with most Korean restaurants, our table was served small side dishes: kimchi, seasoned mushrooms, spicy radish, and dampened seasoned seaweed. 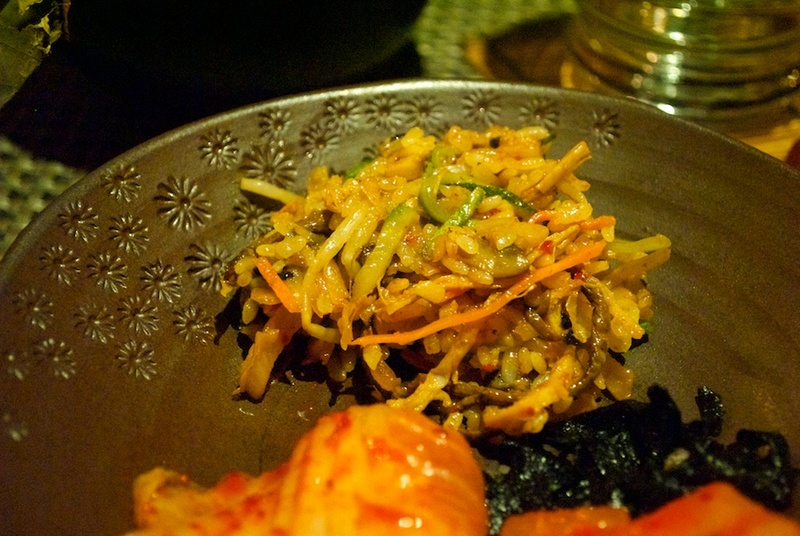 Most of the mentioned side dishes, banchan, are standard Korean side dishes. The seasoned mushrooms side dish stood out more than the others however. They were marinated in a sweet and spicy sauce and had slices of potatoes that crumbled upon pressure but were structurally sound. At this point, most diners will want a small dessert because the starters, appetizers, and entrees become quite filling. Luckily, the dessert was a small ice cream/sorbet dish. 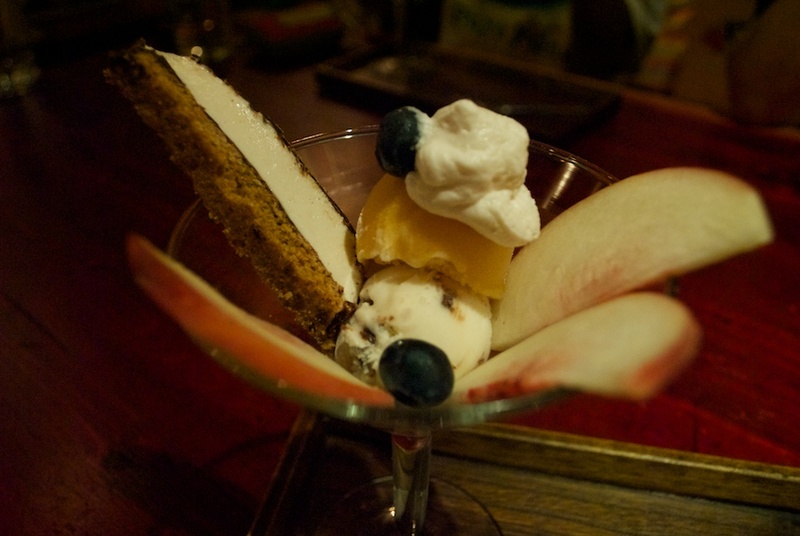 Basically, a small scoop of vegan vanilla ice cream made from tofu is placed on the bottom of a martini cup. Then, an equally small scoop of peach sorbet is placed on top. Finally, a small amount of vegan whipping cream is sprayed on top. Next to the tower of chilly ice cream and sorbet was a marshmallow cookie shaped like a biscotti. 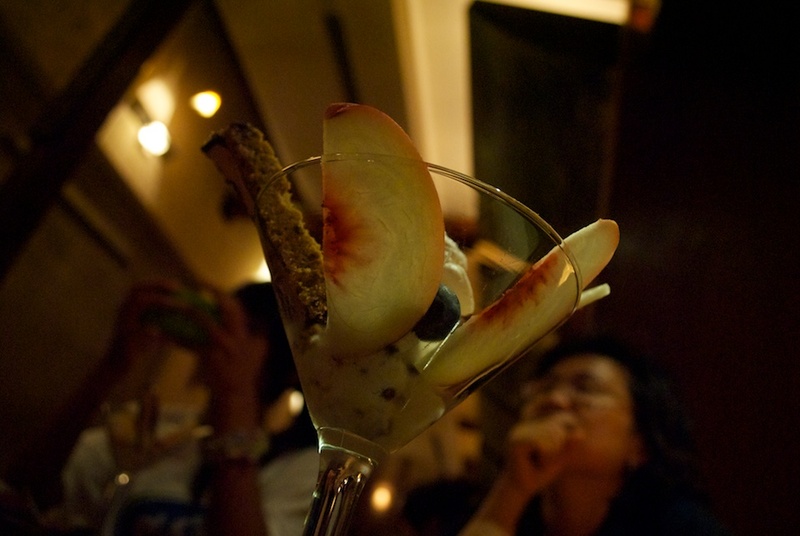 Three fine slices of peaches line the walls of the glass, and a few blueberries are sprinkled over top everything. The vegan vanilla ice cream had an impeccable taste. There was a slight hint of some sort of minty herb, and pieces of either walnut or pecan nuts were infused into the ice cream. The sorbet was a plain peach sorbet but nonetheless delicious. The best part about these two components was how cold they were. After eating hot dish after hot dish (refer to my video of scalding hot mushrooms), the cooling sensation from the ice cream and sorbet was a welcome change. The marshmallow in the “biscotti” was unlike traditional marshmallow in that it didn’t disappear quickly in the mouth. I was able to slowly chew on the marshmallow and digest the flavor of it. The cookie part of the biscotti was also somewhat chewy. Overall, the dessert was fantastic, a great, light way to end a long dinner. To sum up, Hangawi is a vegetarian restaurant that will transform the average omnivore’s vew on vegetarianism.